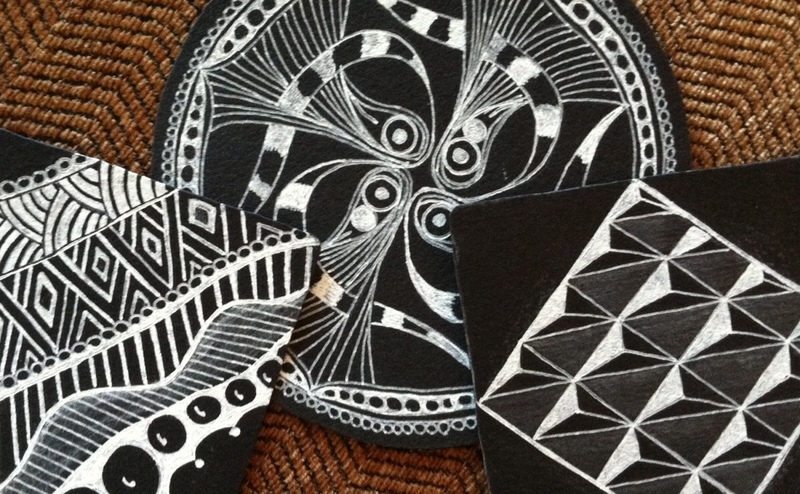 And this time we will be using the Zentangle process on BLACK TILES! Come and learn more tangles - plus get some new supplies, such as white pen and white pencil! This class is done to relaxation music in our inspirational studio where you can put your intention into your creations. Closed beverages sugen and white pencil!